Having an organized bag can make or break your productivity levels—so why not spend more time getting work done, enjoying yourself, or anything but looking for your lost stuff? If you’ve got miscellaneous junk and cords all over your desk and in your bag, you’ve come to the right place. Whether you carry a backpack, briefcase, purse, or tote bag, we’ve got an insert or organizer for you. Check out our top picks for bag organizers below. Do you have a nice-sized backpack, but there aren’t enough pockets and storage? 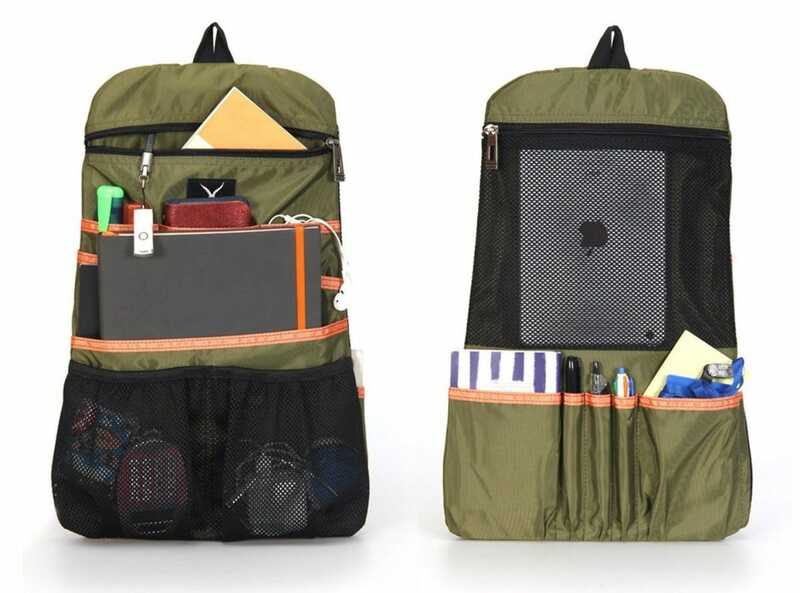 The Hynes Eagle Universal Backpack Insert has 14 pockets which can hold folders and papers, small electronics, notebooks, business cards, bulky items, chargers, pens, keys, and more. With different sizes and options for storage on just one insert (from wide pockets to zippers and key rings), the Hynes Eagle gives you the choice between easy access and security. This insert has a rigid structure so it won’t bend or slide down into your backpack. And when you need to grab something, either open your backpack to view the Hynes Eagle’s contents or pull the insert out of the bag using the loop at the top. Plus, the panel is easy to spot since the lining of this insert (with 6 different colors to choose from) is usually different from the inside of a backpack. The Hynes Eagle can easily slip into different bags (that are at least 11 inches wide and 17 inches tall), so if you’ve got all you need with you in one backpack, but want to switch to a briefcase, just switch the insert over! Another option for a backpack organizer that could work with a briefcase as well is the BES CHAN Backpack Insert Organizer. If you have a purse, then you probably know how easily the inside of it can get out of control. With the ZTUJO Felt Insert, which comes in 4 different sizes to fit different-sized handbags, you’ll be able to grab what you need in a jiffy. And with 13 different colors, you’ll even be able to match the insert with your purse color. If you switch handbags often, this insert is perfect since you can easily pull it out and place it inside another purse. With pockets on the inside and outside of this insert, you can store all sorts of items within the various-sized pockets and organizers that you can also easily see and reach. The ZTUJO even gives your handbag shape so it stays upright and doesn’t fall over while also not adding any extra or unwanted weight. If you’re traveling, you probably want to have all your items secured and easily accessible. With the BUBM, you can keep your iPad, tablet, or other small electronics safe in the biggest pocket that’s located between its double-layered and padded Nylon compartments. The different layers have different-sized pockets (some with zippers, some with elastic openings) and 19 elastic loops to hold various items. 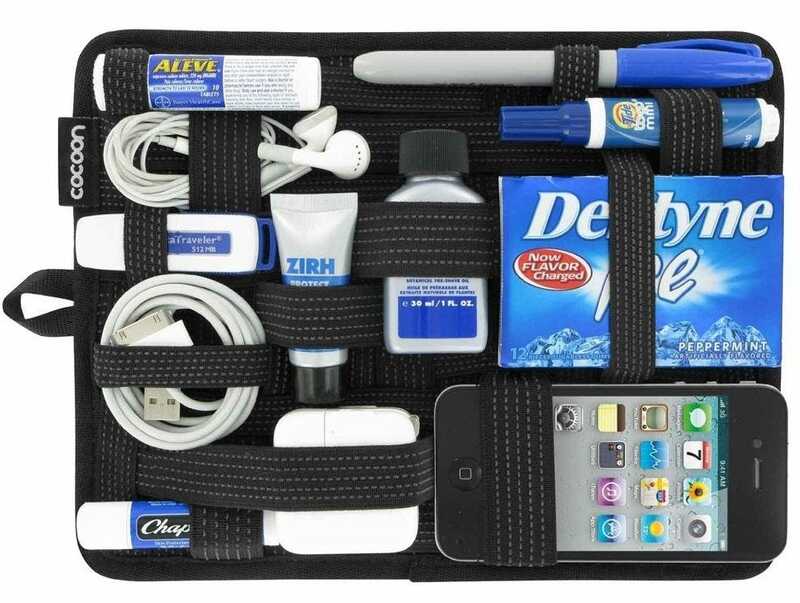 This 10.7-inch by 8-inch organizer can hold anything from small electronics, cords, and office supplies to makeup and jewelry. 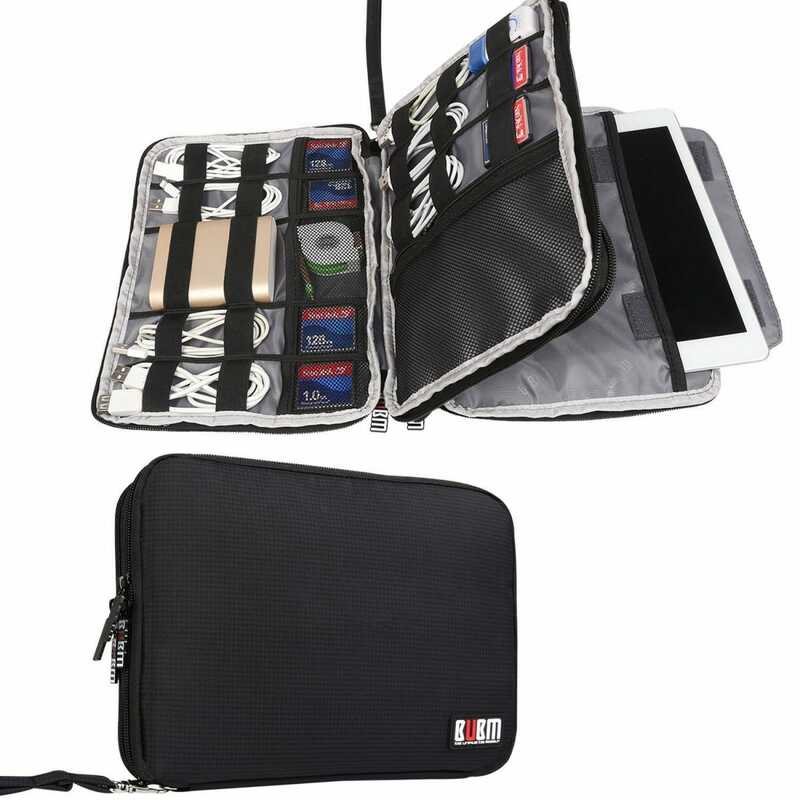 With so many functions and pockets, your items will be organized and safe. Just slip the BUBM inside of your bag, suitcase, or purse and when you need to grab an item you can just slip it out and unzip the layered organizer. Do you have a lot of tangled cords and small loose items, but nowhere to put them? The Power Packer Cable Organizer is great if you have limited space but still need to keep your chargers, earphones, power banks, and other items easily accessible, especially since the stretchy material can expand or retract depending on what’s inside. 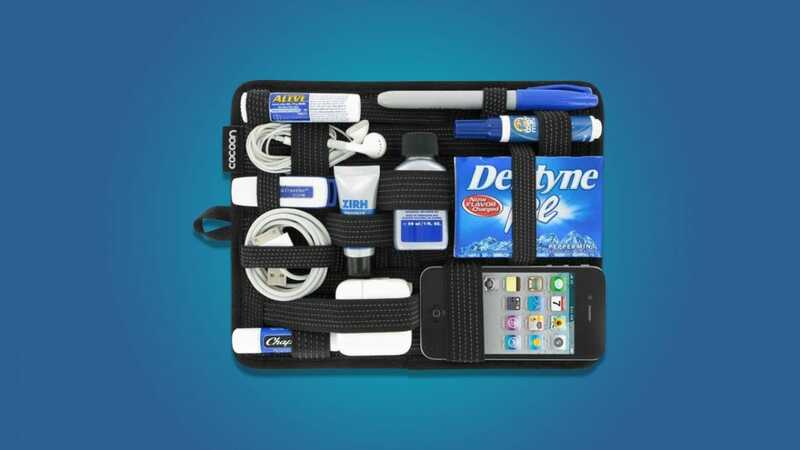 Go ahead and squeeze one last item inside of this flexible organizer! Avoid losing or damaging your cords and small accessories at the bottom of your bag by keeping them snug and secure in the Power Packer. With elastic holders, mesh pockets, and zippered compartments, you’ll be sure to find a place for any small item or cord. If you’ve read our article on 10 Laptop Bag Must-Haves, you’ll know how we feel about this item! The Cocoon GRID-IT! 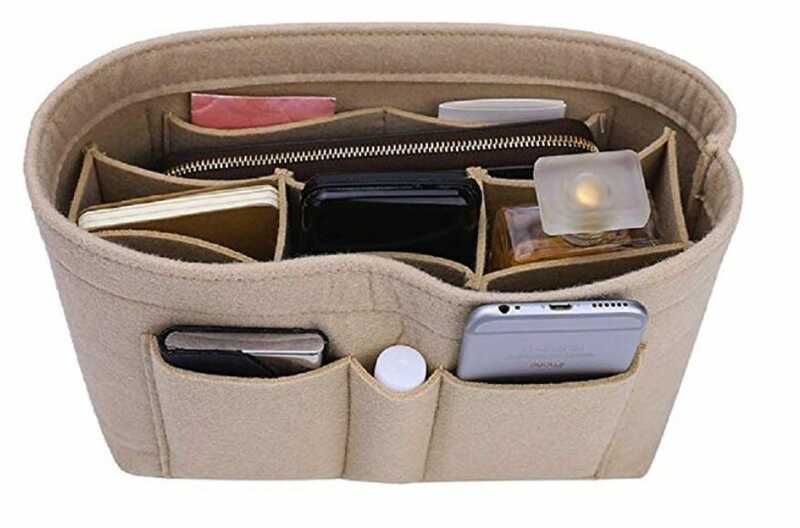 is an open-faced organizer that easily fits inside a backpack, tote bag, suitcase, or handbag (as long as they’re larger than 7.25″ X 9.25″). This organizer is flat so it can slide in and out of your bag; it also openly displays the items it’s storing among its woven elastic holders. So if zippers or fixed-size compartments annoy you, the Grid-It has the flexibility you crave. Everything you need is visible and easy to get to. The Cocoon GRID-IT! 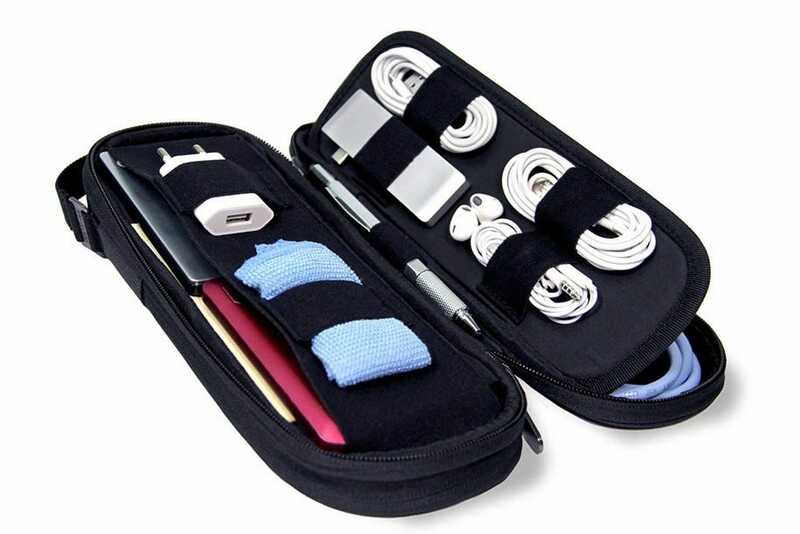 has an endless number of configurations in which you can place your chargers, earphones, devices, pens, or whatever miscellaneous item you may have floating in your bag. With the perfect amount of tension to hold your items, these elastic straps will keep your things secured, even if you pull this organizer out of your bag. If you rent your home, you could feel left out of the current smart home renaissance. Fear not, though. There are still quite a few gadgets you can get to smarten up your rental. If you want to control most plug-in appliances remotely from your phone (or using a voice assistant), smart plugs are a fairly cheap way to make that happen. Here are the best smart plugs worth buying.